Wood Floor Chicago – The interior of your house is part of your life. By improving your house you will improve your life. Please contact us for details, will be our pleasure to assist you. Thank you! 21 years experience on hardwood floor. We provide high quality service and promote safe environment materials! 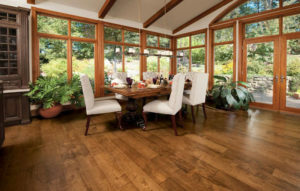 Here, at Wood Floor Chicago, we are passionate about two things, our customers and wood flooring. We only use the finest hardwood in all our floors, capturing the natural beauty of real wood and using it to turn your home into a place to be proud of. Hardwood flooring is much longer lasting and of a far superior quality to the usual laminated flooring. With Wood Floor Chicago you are in the hands of true hardwood flooring experts. A wood floor is an extremely rewarding foundation on which to design the interior of your home. Light wood can brighten up a dark room. At the same time, dark wood can make the same room intimate. What you prefer depends, of course, on your personal taste and the kind of atmosphere you want to create. Indulge yourself with the natural beauty of wood inside your house. Each hardwood has it’s own unique appeal and all our woods can be used in different floor designs and we can even design features specifically for your home, giving your hardwood floor true distinction. Different finishes and edging can also help to make your wood floor truly unique. We work hard to ensure every project we work on is completed to standards of the highest caliber and the result is a long history of satisfied customers who continue to take pleasure in their wood floor many years after the installation. Within this website, you will find examples of our woods and finishes, ideas on how to use hardwood floors to improve the beauty, and value, of your home. Please come in and have a look around our online showroom and get in touch with us to discuss how Wood Floor Chicago can help make a real difference in your home. The interior of your house is part of your life. By improving your house you will improve your life. He did an excellent job on the floors he refinished in our house. Did the work in good time. He cleaned up after the job was done. I would recommend him for a job like this. Description of work: He finished some hard wood floors in our house this year. Very satisfied with the work. Constantin showed up on time for the quote, was running a little late for the job, but called in advance to tell me that. The work was done on time and the floors look great!